Online gambling has been around for a while, but more recent are Bitcoin betting sites. One such website is JetWin sportsbook and casino. JetWin has opened in 2013 but has pretty much stayed under the radar. The casino and sportsbook is pretty low-key, but, if you stick with our JetWin casino review, you’ll find out certain qualities within this establishment that make it very much worth visiting. Although their site went offline in 2016, it came back in 2018 and looks better than ever. Read on and find out everything there is to know about this casino, starting with pros and cons, all the way to their security systems and our final verdict. JetWin Casino is reasonably well-stocked on games. Their sportsbook has plenty of markets you can bet on, including some unusual ones, like politics and eSports. However, compared to some powerhouses in the industry (and even some mid-range casinos) their market selection isn’t all that extensive. If you’re a prominent punter, you’ll probably want to avoid JetWin, as their rates aren’t the greatest, but they aren’t terrible either, so amateurs can still play. But, what about the games? We already said that JetWin has a decent selection of games, but which games can you play exactly? Well, for the most part, those are slots and live games, with the latter being far more interesting. JetWin live games are split into live casino games, where you can play baccarat, roulette, blackjack, and Holdem, and live dealer games, where you can bet on several games of dice, lottery-type games, baccarat, Holdem and War of Bets. As for the slots, the games in their library mostly come from Endorphina. The casino also features a few table games sprinkled here and there, a scratch card and quite a few video poker games. Finally, the establishment features a few keno games, as well as virtual horse racing, as well as virtual sports betting. JetWin has an exciting free bet bonus that you might be interested in. Namely, they offer free bets for betting on odds of 2.50, with the free bet bonus being determined by how much you’ve put on a game. The minimum free bet amount is 1 EUR, obtained after you’ve bet at least 10 EUR, and the maximum is 50 EUR after you’ve bet at least 500 EUR. As for the JetWin Casino no deposit bonus, it doesn’t seem to be available at the moment. Usually, a message would pop up when asking you to claim the bonus. After you click Claim, the casino will add $65 immediately. 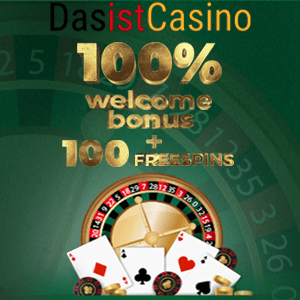 In addition, this bonus came with a rollover, and you had to bet 30x the bonus amount to be able to withdraw. Still, it’s not available right now, and you should check JetWin website regularly since it may become active once more. JetWin Casino has a pretty decent platform. They’re primarily powered by Endorphina, and they’ve procured their platform from a now-defunct GetWin casino. The site doesn’t look too flashy or too modern, but it gets the job done, and it performs well, and that’s what’s important. The games run smoothly, they don’t take too long to load, and they’re bug-free. Their live rooms are also decent, the feed is not of the highest quality, but they stream without interruptions, and we give them props for that. JetWin Casino withdrawal options are limited to Bitcoin wallets. This is not surprising since this operator is a Bitcoin casino only. If you like gambling with actual money and not Bitcoin, well, then, JetWin is not your casino of choice. JetWin requests proofs of identity whenever you withdraw, which can lead to mild annoyance from the players. This is one of the areas of business that JetWin takes extremely seriously. JetWin, like any other Bitcoin casino, is very protective of their customers’ identity. They allow you to open two accounts, a standard one, and an anonymous one. SSL encryptions are in place to protect all their channels, and the security checks mentioned above when withdrawing make sure nobody can withdraw your money except you. However, we couldn’t find any data on licence and regulation. This means that JetWin is not publicly audited, so you have no idea what the RTP is on their casino games, nor are you sure what’s their RNG like. This won’t stop all players from actually taking their seats at the tables, but some might find issue with it, and it’s something to consider when playing at this casino. All in all, JetWin Casino review end with a conclusion that JetWin is a mixed bag of both good and bad. The casino certainly has some excellent features to offer you, as their extensive live dealer and live casino games, but the lack of a license diminishes its value. Not only that, but, because this is a Bitcoin casino, it’s intended for a small niche of people, and not everyone can (or is willing) to play at their tables.